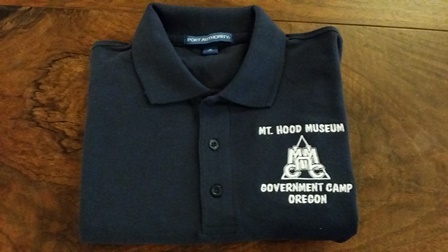 Mount Hood Museum and Cultural Center Polo Shirt. Navy with embroidered logo. 60 Cotton/ 40 Polyester. Available in S, M, L, XL and 2XL.